This house was designed with great regard for the clients. In one of the best collaborations a designer could ask for, we worked together to take their initial stylistic vision of an Alpine lodge to turn it into a structure and home that more aptly responds to their site, views, sun and outdoor lifestyle. This house was designed with great regard for the clients. 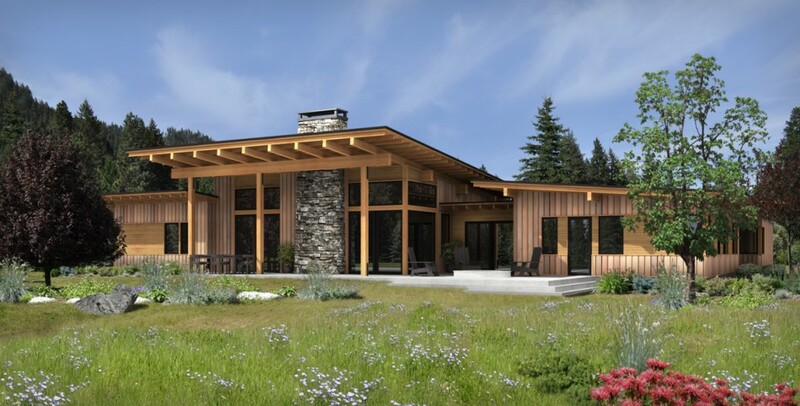 In one of the best collaborations a designer could ask for, we worked together to take their initial stylistic vision of an Alpine lodge to turn it into a structure and home that more aptly responds to their site, views, sun and outdoor lifestyle. In doing so, the original 2800 sf requirement for a family of 4 was paired down by 500 sf and integrated into a greater use of outdoor covered space with 12 foot eaves and great transparency to the views and valley below. Summer sun is controlled, and Winter Sun is captured.